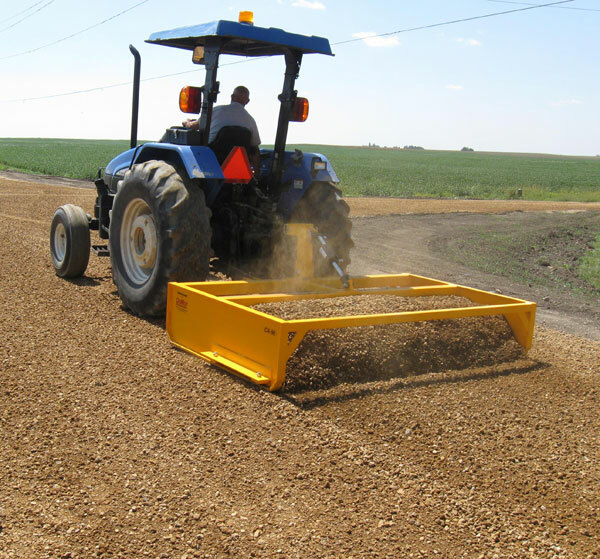 The "HA Series" is becoming the most popular road grading and landscaping implement on the market today.It's unique patented design gives you the cutting power of and expensive motorized grader with the simplicity and low cost of a box grader. 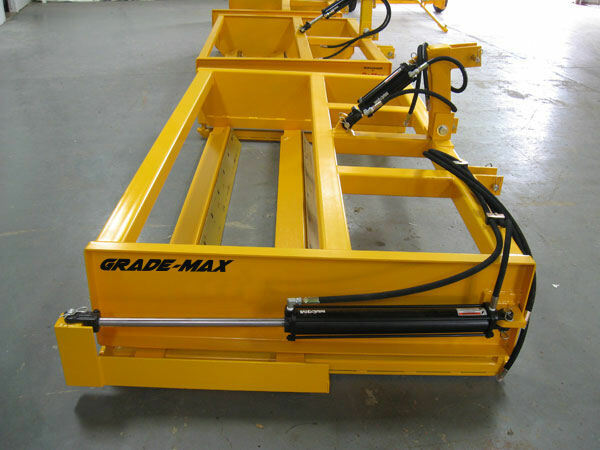 All GRADEMAX units come standard with high grade high carbon cutting edges and are made by the same manufacturer as Caterpillar's cutting edges. You can purchase replacement cutting edges from your local Cat dealer. Our HA Series Grader is the most effective and versatile unpaved road grader in the industry Our patented adjustable blades are simple to operate and can be adjusted using the auxiliary hydraulic control lever inside the cab of your tractor. This adjustment is crucial for being able to transfer material when serious shaping such as crowning of roads is necessary. 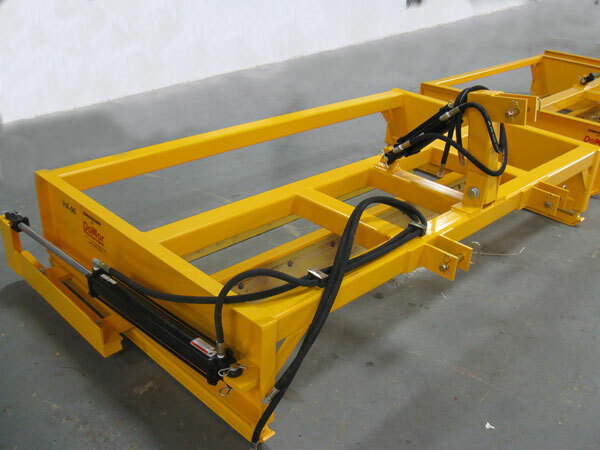 The Blades can be moved to the straightened position for everyday maintenance of any unpaved level surfaces such as parking lots when no material displacement is needed. At nearly twice the weight of other graders on the market today, the "HA Series" Grader provides the ability to cut even the hardest packed surfaces while still delivering the freshly graded and smooth results you are looking for. 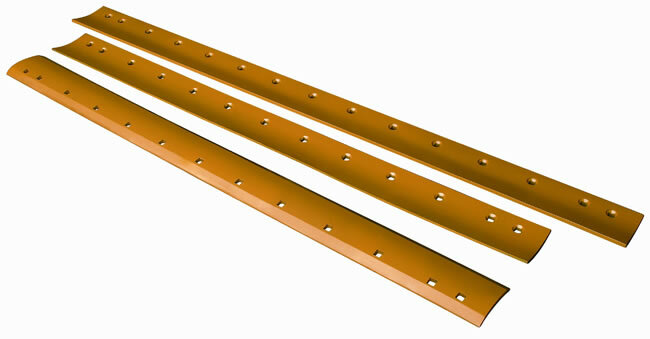 The Wear Skids located on each side panel are constructed of heavy duty 1-3/4 Inch solid steel for long lasting operation before needing maintenance, and the skids are removable for rotation and replacement. The "HA Series is ideal for grading parking lots, lanes, roads, levees, and other unpaved surfaces due to it's unique adjustable twin blade flow through design which allows you to cut through and smoothly grade any unpaved surface quickly, efficiently, and effortlessly without the need for specialized operators. The "HA Series" grader operates at a fraction of the cost per hour than an expensive motorized grader because of it's ability to cut hard packed roads while transferring and leveling material with precision control and while eliminating the need of specialized operators and equipment.